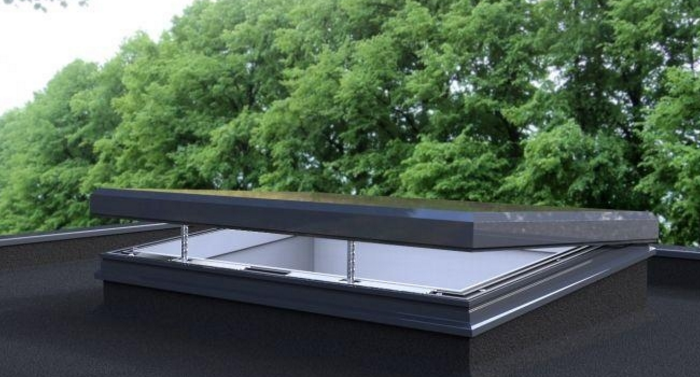 For those looking for a flat roof skylight that combines a traditional look with hi-tech capabilities to open and close electronically, the Aero Electric roof window should be at the top of your list. 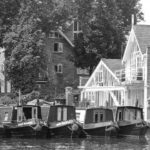 This traditional yet stylish design is part of the only product range to achieve the BSI Kitemark for surpassing the highest standards for air permeability, weather tightness and wind loading. So not only can you buy a rooflight that offers a combination of natural light and ventilation, you can be certain of its safety and durability against the outside elements. The quality concealed opening mechanism is easily operated using a remote control, which activates the 24v chain-driven actuators that are totally sealed within the frame to enable the Aero Electric to open as much as 400mm. 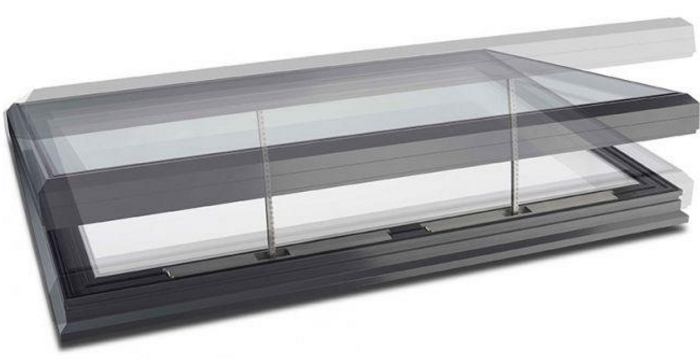 The Aero Electric rooflight can also be combined with other electrical accessories that result in an even simpler operation; ideal for those less physically mobile. 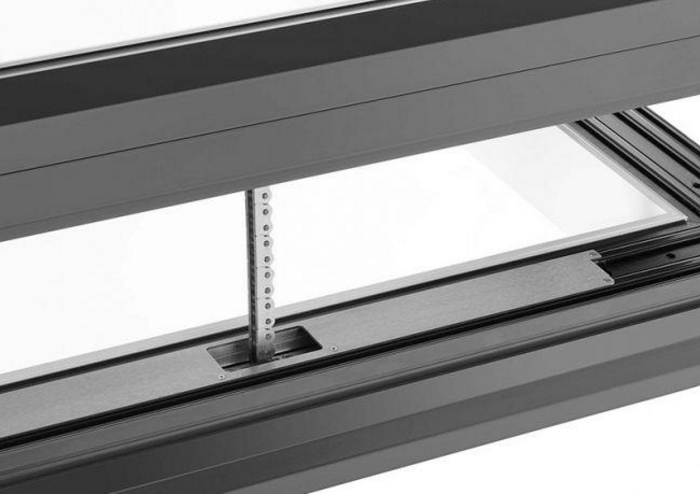 An intelligent rain sensor can be used to trigger the closing of your skylight in wet weather conditions, so you can allow fresh air to flood into the property even when you’re out, safe in the knowledge that it won’t let in rain water in the event of inclement weather. Meanwhile a more comprehensive weather sensor pack is designed to close your Aero Electric skylight in the event of high winds as well as heavy rainfall; keeping your rooflight and interiors safe from the elements. With industry-leading warranties including 20-year guarantees on sealed glazing units, 35-year guarantees on upstands and three-year guarantees on all electrical accessories you can rest assured that it’s a sound investment and one which adds value to the property and your everyday lives.